Used daily by almost everyone. It is the common shoe lace. But what is that tip called? This is the other pair of the first question. The lace goes through these holes in your shoe. What are these round holes called? 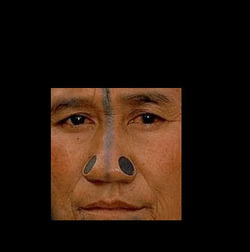 Identify the tribe from one of its classic identifying features.